Posted at: 9/30/2010 09:34:00 AM . 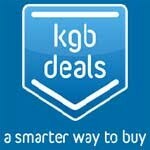 KGB Deals is offering a great promotion today on its Atlanta page. Since this deal is available online, anyone can enjoy it. For $0.99 you can get a $5 gift card to Magazine.com. Just change your city to Atlanta to see the deal.